Download the game until 13th December and unlock all chapters for free!! 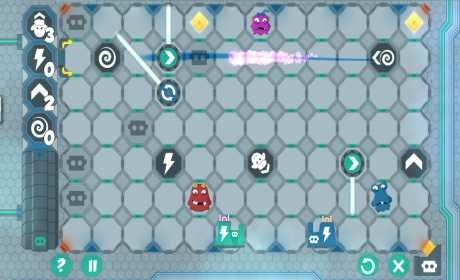 Cloudwire is a challenging puzzle game designed to be played on tablets made for all ages from 12 years and older. Featuring a neat and cartoony art style, each chapter will have its own unique challenges which will be introduced as you progress through the game. 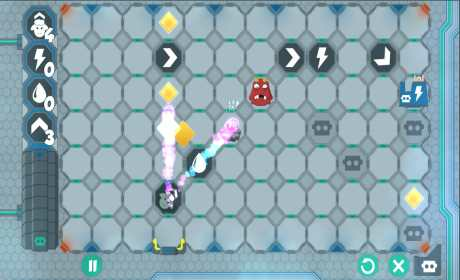 From simple direction changes to using water, electricity, cloning and lasers to solve puzzles with ever increasing complexity. The gameplay will be all about placing the correct modules on the field to overcome the obstacles and threats in a level. In order to solve the challenging riddles, strategic thinking is necessary. 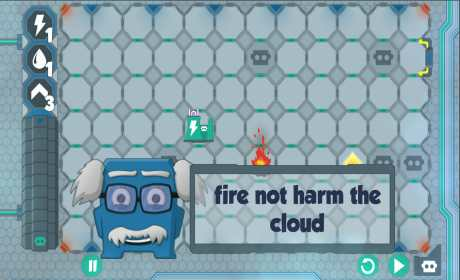 If you want to extinguish fire you need to lead the cloud through water first. In order to activate a power station the cloud has to be charged with electricity. After you have placed all modules you just hit the play button, lean back, and see how your brilliant plan works. You are the true commander of the Xintorian people who control the mightiest of all weapons called CLOUDWIRE. A weapon devastating enough to destroy lurking enemies and foes of the Xintorians. The CLOUDWIRE will be explained by our head scientist Beldron in the introductory levels who guides you through your mission. With this powerful force of destruction the trustworthy and righteous commander smashes enemies and maintains the global infrastructure of the noble Xintorians.